NZILBB Researchers have access to an excellent range of research equipment, which is distributed across our associated departments and local partners. In addition to these, NZILBB itself has its own centralised research facilities. These includes some equipment which are not available anywhere else in New Zealand. NZILBB houses a sound-treated Observation Lab, which forms a comfortable environment, Observation Labwhile synching five video cameras, with multiple audio feeds, all controlled from a separate control room. This room is heavily utilised and all of the recordings are added to our growing audio visual corpus. The facility was used record earthquake stories from Christchurch residents. Academic staff from Victoria University of Wellington have also made use of the Observation Lab to video members of Christchurch's deaf community telling their earthquake stories. One of the Institute’s aims is to explore how language and speech are processed by the brain. A strand of research in this exciting new area EEG Labconcerns identifying neurophysiological correlates of children’s language development. By investigating how children’s brains process linguistic stimuli of various kinds, new insights into the process of language acquisition will be gained and new light will be shed on children who have difficulty developing language. 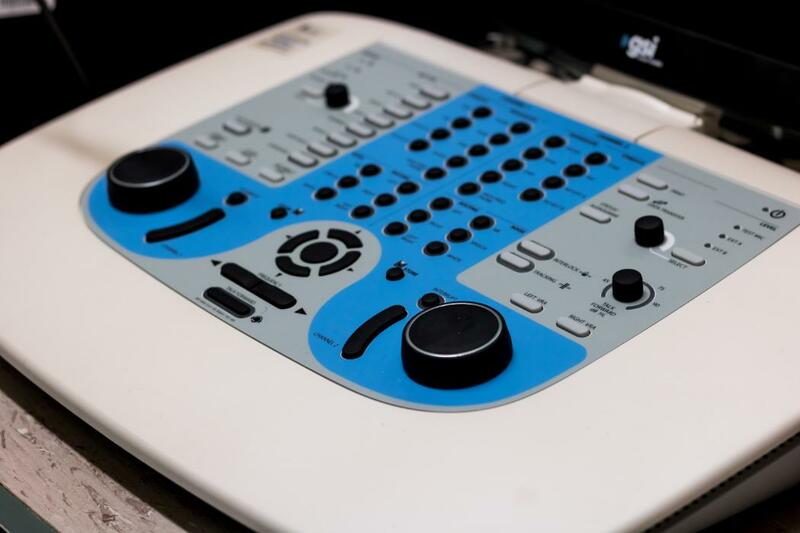 In 2012 the Lottery Health Research Committee of the New Zealand Lottery Grants Board awarded funding to purchase a 32 channel EEG system, this has been upgraded in 2014 to a 64 channel system. The system is a BioSemi Active Two Mark II 64 + 8 + 2 channel EEG/ERP/EMG/EOG system. The stimulus presentation is by e-Prime and data analysis with Brain Products’ Professional Analyzer 2 software. This system allows a continuous EEG recording of brain activity in response to visual or auditory stimuli. Dr Catherine Theys joined the EEG team as an NZILBB Post-Doctoral Fellow in December 2012 and is currently running EEG experiments on neurophysiological correlates of overt speech production. Dr Theys is now a fixed term staff member in CMDS and has been awarded a Royal Society of New Zealand marsden grant to research stuttering using EEG and fMRI. Lotteries Health Research Committee, $94,000 in 2012. Stephanie Stokes, Thomas Klee, Megan McAuliffe and Catherine Moran (all NZILBB and Communication Disorders). Lotteries Health Research Committee, $20,675 in 2014. Catherine Theys (NZILBB). College of Arts Capex Funding, $13,000 in 2014 (NZILBB). The WAVES electromagnetic tracking system is an exciting no-line-of-sight motion capture system specifically designed for tracking speech related articulatory to orofacial movements (such as tongue movements). It provides a non-invasive measurement system in which the subject is free to move naturally during the experiment. This machine is used to track the movmenets of the tongue. We are the only research group currently in New Zealand using an ultrasound for speech research. This is an invaluable tool for our movement and gait projects. It is a strap based system which is un-tethered allowing the subject full movement and freedom to roam, whilst coordinates relating to their movements are being captured onto a laptop. This standalone system has an excellent reputation amongst international child language researchers. Near infrared illumination is used to create the reflection patterns on the cornea and pupil of the eye of a user and two image sensors are used to capture images of the eyes and the reflection patterns. The TobiiX120 does not require that the child sit still, or that they wear goggles/glasses, both of which are extremely difficult to achieve with children under 4 years (our main research population). The children can move about freely, are unrestrained and have unrestricted movement. This Lab houses dual boot machines, typically running perception experiments using either e-Prime or Direct-RT. The Sound Booth incorporates an Oticon AS608 portable audiometer, an Oticon AC33 Clinical Audiometer and a range of recording devices.